During this Hanukkah I wanted to share a story that I love to tell my family during this holiday. We personalize the characters of the children in the story to be our own children’s names. I would encourage you to adapt the tale to use the names of the children you are telling it to. At the end of the folk tale, I’ll give you some introduction to the traditions and origins of Hanukkah, and the symbolism used in the folk tale, showing LDS parallels, and a few ideas of my own. 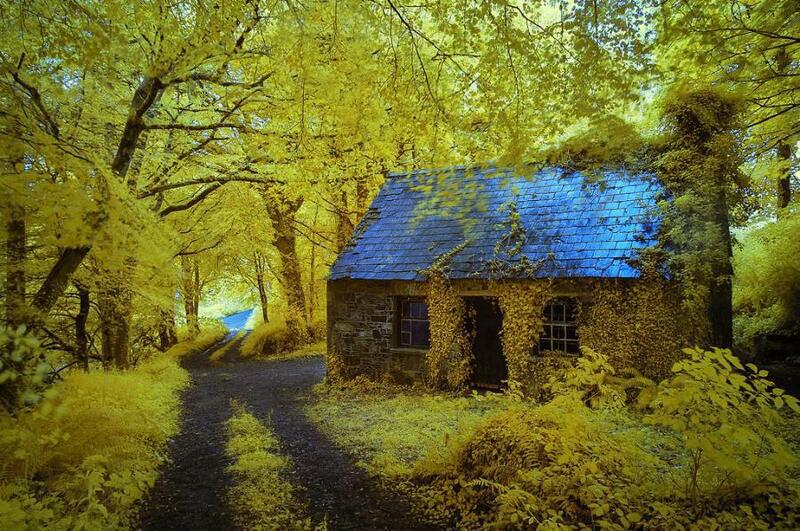 Once there was a family who lived in the forest. They did not have much, but they were happy. Until one day when it was in the deepest coldest part of winter (Hanukkah) they could see they were running out of food, and they had no money to buy more. On the first night of Hanukkah the father said: “I must leave you here and go seek work, so that I can get money (gold or “gelt“) and buy food for you.” so he left to the city to see if he could get money for food but he did not return the next day. So on the second night of hanukkah the mother said “I must go also and work so that I can get money (gold or “gelt”) to buy food for you my children” and so she went away too and did not return the next day either. Suddenly the pan was full of delicious Latkes! already cooked just right, as though they had been in the pan the whole time! The girls were so happy that they ate the Latkes right away, but what surprised them even more was that as soon as they took the latkes out of the pan there were more fresh latkes in the pan, so that each of them could eat as many as they wanted! Elnorra ate 9 latkes, Cordelia ate six latkes, and Aldelaide ate four latkes, but baby Gwendolyn was so hungry she ate twelve latkes! Once all the girls had eaten latkes until they were full Elnorra said “A great miracle happened here!” and as soon as she said it the pan was empty and cold again. It didn’t even have a drop of oil left inside. Suddenly the pan was full of delicious latkes again! Cordelia, Adelaide, and Gwendolyn, were so happy, and they ate a bunch of latkes. But when they were full they couldn’t remember the words Elnorra had used to make the latkes disappear. So Cordelia guessed maybe the words were “Here there was a miracle” but nothing happened! There were still more new latkes in the pan. So she put the extra latkes on a plate before they burned. But still there were more latkes in the pan, so Adelaide guessed the words were “Miracles are great!” But still there were more latkes so they put them in a bowl. Even Gweldolyn tried and said “Miwacles”. Still there were more and more latkes until they had filled up every pot and pan, every plate and bowl in the house with piles of latkes! They kept trying to make the Latkes stop! Saying things like “Here the miracles are great!,” “Great miracles can happen!” “We are grateful for miracles!” “Miracles happen here!,” “There was a Great Miracle!” and everything else they could think of, but nothing worked! Finally Cordelia just had to open the window and start throwing piles and piles of latkes out into the snow so that their house would not full up with latkes. And it was turning into a mountain of delicious latkes all around their house! Finally, the pan was empty again, but there was still a huge pile of latkes, much more than four girls could eat, no matter how hungry they were! But far away in the city the father could smell the latkes, and he thought “maybe if I go and find the person who has these latkes I can get some for my children.” So he started follow the smell of latkes home. The mother was in the village and she smelled the latkes too, and she thought “If only I had some delicious latkes for my children. I will go and see if I can get some latkes for them” and she started to follow the delicious smell home too. But they were not the only ones to smell the latkes. It turned out that the whole town could smell the Latkes and they wondered what that delicious smell was, so many of them came looking for the latkes too. So on the Fifth night of Hanukkah, There was a great feast as everyone in the forest came to eat the Latkes. On the sixth night of Hanukah the mother returned from the village with applesauce, and sour cream, and the children were so happy; and people from the village also came to eat the latkes. On the seventh night of Hanukkah the father returned with gelt, and dreidels, and some oranges, and his family was so happy; and even more people came from the city to feast on the latkes. By the Eighth night of hanukkah the smell of the latkes had reached all over the world and all the people who were hungry came from all over the world to share a Hanukah feast and praise the Lord. The family had everything they needed, and they were together again. Then they knew that what they needed most was to be together, observe the mitzvot (keep the commandments), and trust in G-d to provide. This is the greatest treasure and is more valuable than all the gold (or gelt) in the world. If you are familiar with Hanukkah traditions, you will recognize the symbolism of the story. For those who are new to Hanukkah I will explain a little of the traditions and history of the holidays. My intention is to draw various parallels to the folktale and bear you my testimony of the restored gospel. Not necessarily to give you a full introduction to the Jewish tradition, or necessarily draw any intentional parallels between these elements, except in that they each relate to the folk tale. Hanukkah commemorates a miracle that happened when the temple was rededicated in Jerusalem over 2000 years ago. Many are not familiar with the history because it is not found in the Bible. According to tradition the miracle of Hanukkah took place during the Maccabeean revolt which is the subject of the book of Maccabees. This book, or books (Maccabees I and II), tell the story of Israel when the Greek/Syrian conquerors (Seleucid Empire) attempted to eradicate monotheism and force conversion to the religion of the Greek gods. The faithful revolted at this forced conversion, taught the Torah (Scriptures) in hiding, and eventually repelled the invaders. A small band of fighters defeated one of the mightiest armies on earth. According to tradition at the time the Maccabees retook Jerusalem from the Seleucids they drove worshipers of the Greek gods out of the temple. There were idols there and many of the temple artifacts had been plundered. Sad at the condition and defilement of the temple, they sought to purify it and restore the temple to the worship of God. The temple was cleansed and the idols removed, the Greek altars were also destroyed. But one of the important ordinances was to light the Menorah in the Holy place. The problem was that the Temple menorah had been taken as plunder by the Selucids. Further they wanted to use true consecrated oil. So a search was made for oil and in the ruined temple and besieged city only one small vial of consecrated oil could be found that had not been destroyed or defiled by the Greeks. The menorah is supposed to burn continuously but there was not enough time to consecrate more oil and bring back the priests immediately. So the Maccabees simply fashioned a simpler menorah, lit the temple lights in faith that this was a righteous act, even though the lights would soon burn out and the temple would need to be rededicated again. But a miracle happened! the lights did not burn out! They just kept burning bright. It was eight days before the rest of the temple was cleansed and the temple priests (those who had survived the occupation) were ready to begin their work in the temple and consecrate more oil. So the eight days of Hanukkah are to commemorate the miracle that the lights did not burn out but kept on burning for eight days so that the temple could be cleansed. A single cruse of consecrated oil burned for eight days. This is what we celebrate at Hanukkah, but more importantly we celebrate the light of G-d which goes out to all the world. Another traditional element you will find in folk tale is that the food mentioned, Latkes, has become a traditional treat for Hanukkah. 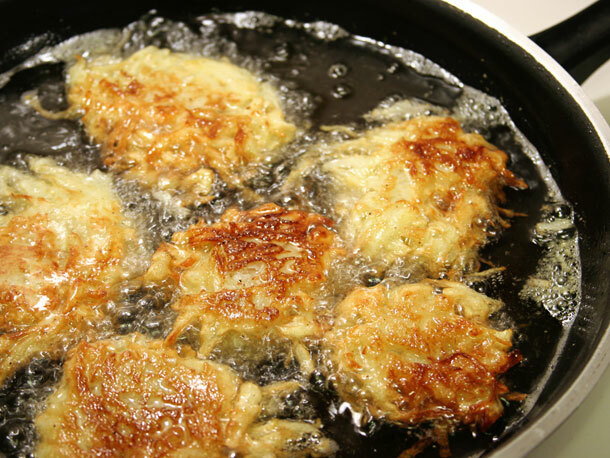 Perhaps Latkes are a common food enjoyed at Hanukkah because they are fried in oil, as such it can remind us of the oil provided miraculously by G-d. When I eat latkes I think of this story, and how G-d once saved many souls because of the kindness of a woman to give her last morsel to a prophet whom the Lord used to bring glory to himself. 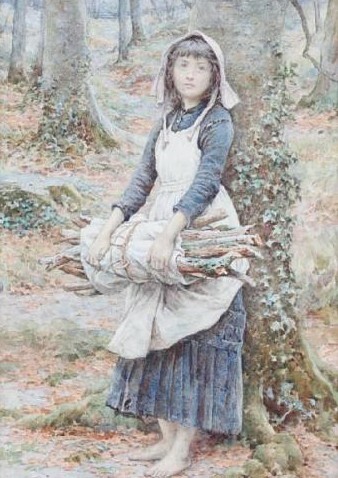 (And also like the folk tale it begins with a hungry girl gathering wood). Another element of the folk tale is the phrase that was used to thank God for the miracle. The holiday of Hanukkah is identified by the phrase “!נס גדול היה פה” which is translated as “A Great Miracle Happened Here!” (This phrase is usually only used in Israel, where the miracle of Hanukkah occurred. Outside Israel it is usually said “A Great Miracle Happened There!” “נס גדול היה שם” But for purposes of the story we are using the first phrase to be reminded of the immediacy of G-d’s miracles, that G-d does his miracles in a ll times and places for his people.) This is to remind us that G-d will provide miracles to allow us to keep his commandments (Mitzvot) This phrase and idea is central to the story. The markings on the Dreidel are an acronym of this phrase. If you tell this story to your own family you can insert your children’s names into the story, but I’m going to use my own children’s names. You can also feel free to use my children’s names if you prefer because they have meanings that relate to the story and its over all message. My eldest child’s name, Elnorra (אלנוֹרָהא) is Hebrew and Means G-d’s Light. this can be related to the meaning of the story and to Hanukkah because it is the festival of the Menorah (note that both have the “norah” part, meaning light or glory.) And “El” referring to G-d. So her name means the “Light of God” or “The LORD is my Light.” My second daughter’s name is Cordelia. This is an english name, but means “The daughter of the Heart” From the Latin “Cordis” for heart. This is a reminder that Elijah Came to turn the hearts of the Fathers to their children, and the children to their fathers as prophesied by Malachi. 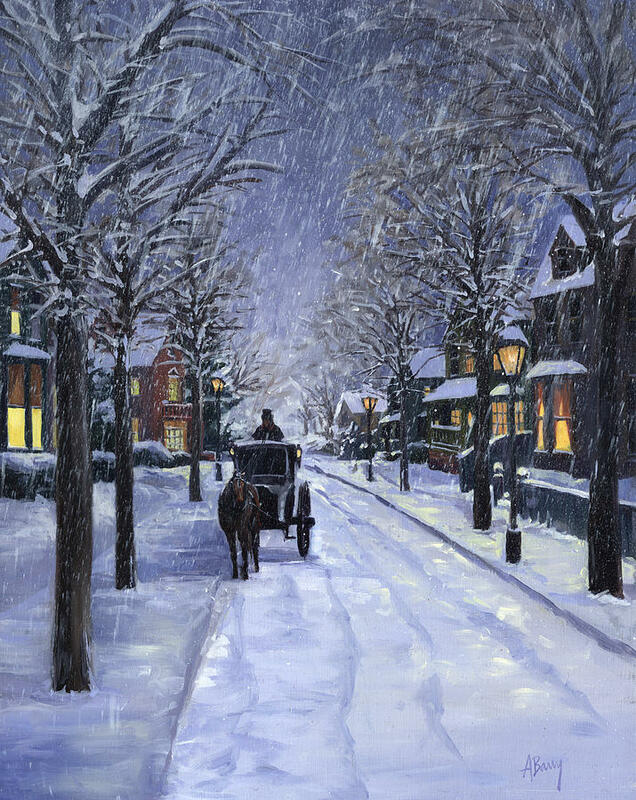 This tale is one about bringing a family and community together by the miraculous power of G-d. 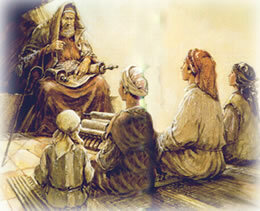 It incorporates a miraculous visit from Elijah, and a message of God’s goodness. As such it is a parable about the restoration, the diaspora, the gathering, and has all the elements of a traditional Jewish folktale. In this way Cordelia’s name is symbolic of the whole plot of the story. (She was also born on April 3rd, which is the day on Passover in 1836 that Elijah appeared in the Kirtland Temple to restore the keys to turn the hearts of the Fathers to the Children, and the Children to the Fathers.) My third daughter’s name is Adelaide meaning “of noble birth” a reminder of the lineage, birthright, and connection of ancient and modern Israel. As a young child in the story it is a reminder of the coming generations to which we owe a duty to pass on this noble heritage. And last my fourth Daughter is Gwendolyn meaning “the daughter of the holy covenant” a reminder that being of God’s people is about more than the heritage of blood, but the connections of the covenant with G-d and with the whole of the covenant people. (incidentally the name Gwendolyn has a bunch of other interpretations because the name is so old the original root words that comprise it have taken on numerous meanings, so”Gwen” can mean Fair (White), holy, bright, divine, etc. And “Do” is “of” or “daughter of” because it is the feminine form. “Lyn” can mean covenant, circle, relationship, blessing brow, forehead (the place anointed in the covenant, or referring to hands placed on the head for a blessing) etc.) Her name refers to the end goal of the tale to bring all the people of the covenant into one circle of friendship and Love. So what is the overall message? And how does it relate to the Restored Gospel? I believe that the restoration in the Latter-Days is intended to restore the covenant of Israel. Just as the Maccabees cast out spiritual and physical apostasy from among them, even so we must as Latter-Day Saints cast wickedness from among us, and restore our covenants, cleanse our temples, and trust the Lord to assist us in this fight. One last observation is that Jesus is the Messiah, which means the anointed one. The sacred anointing oil that was miraculously provided begins with olive oil, and Gethsemane means the place of the oil press. Thus the light of Hanukkah reminds me of the light of the World, and the atonement of Christ. Obviously this is not a traditional Jewish interpretation, but as LDS people we believe that all things testify of Him. The light of the Messiah, which shines into all the world, reminding us of our own sacred anointing ordinances, gives my mind serious reflection during this holy festival. 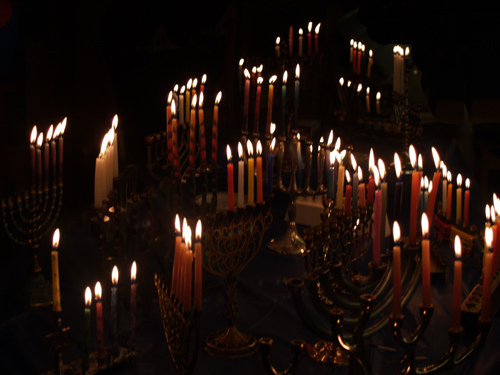 With these stories and symbols in mind, I hope you enjoyed our Shaffer family Hanukkah tale! Tagged chanukkah, gathering of Israel, hanukkahBookmark the permalink.